When Carmen Lundy returned to the capital and Ronnie Scott’s with her trio launching brand new album Changes few people took note. It’s the lot of many a jazz singer these days, even one as creative as Lundy (even Betty Carter suffered in her day). Announcing the names of her trio like a boxing announcer might introduce the main event – so it was “Anthony Wonsey from Chicago, Illinois”, as a taster, Lundy was on suitably athletic form in the company of star pianist Wonsey (Roy Hargrove, Nnenna Freelon) who also switched to keyboards; Philly bassist Darryl Hall on both acoustic bass and later electric; and introducing young Floridian Jamison Ross on drums, a real find with a big recessed beat that made me think of Terreon “Tank” Gulley. Appearing from behind the dressing room door to the left of the stage, Lundy with her bare shoulders draped in a fur with her fingers and arms covered by long crimson gloves, the singer soon controlled the stage with a dizzying array of gestures, gesticulations and knowing looks. Half Betty Carter, half Grace Jones as she shoulder danced along to the trio, opening with her simmering Maya Angelou referencing ‘I Know Why The Caged Bird Sings’ frequently grimacing as she scanned the decent sized Monday first set crowd, picking out the middle distance with her extended right hand. With her cropped hair, youthfully slim appearance, and riotous sense of abandon, she showed both her power and ideas on mostly original material new and longstanding. Launching Changes, her twelfth album ahead of its US launch in February, Lundy was also content to reprise earlier material including the tour de force ‘You’re Not In Love’ which allowed her to reach out to long time fans and reminisce about Hoxton’s Bass Clef the club former Lennie Tristano bassist Peter Ind used to run. There were a few scenesters from that time in the audience as someone in the audience chatted back to Lundy as she recalled the jazz club scene of the time, and even Gilles Peterson could be seen emerging from backstage. Best in the first set was the political ‘Love Thy Neighbor’ from the new album, a civil rights anthem all the more fitting as it was delivered on the evening of the Martin Luther King federal holiday in the States. Hall immediately drew you in on electric bass with a groove straight out of Gil Scott-Heron’s ‘The Bottle’ period, a sound that makes you shut up and wait for the message of social toleration and respect in the lyrics. By complete contrast and resuming the London theme ‘A Nightingale Sang In Berkeley Square’ was sweetly delivered later, and remarkably for a singer who can sing down to her baritone depths her variety is such that the different registers introduce a different characterful persona each time, again reminiscent of the much missed Carter. Changing costume for her second set appearance during the break, gone were the fur and the gloves, instead Lundy had donned a black dress with a white formal cut away jacket and a stiff collar. There was a bit too much schmaltz towards the end, and the well worn ‘New Year’ song I could take or leave, but the more sensual second set songs added yet another dimension to this strong showing with ‘(I Dream) In Living Colour’ another highlight. What's next for the jazz singer of our time? 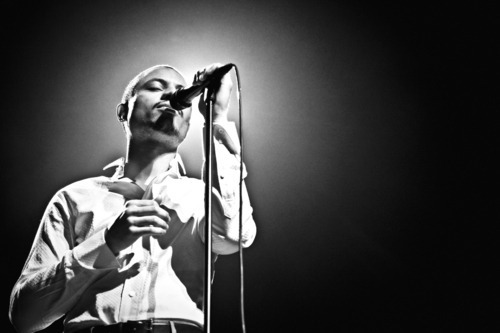 Yesterday on Dreamjazz I mentioned José James, a singer it’s easy to temporarily forget about in the wake of Gregory Porter’s stratospheric rise to fame and the achievements of Kurt Elling since his John Coltrane and Johnny Hartman record and The Gate. But less than three years ago James was on the ascendant, and he has not gone anywhere despite a few delays and mysteries. Granted his performance with McCoy Tyner in London last year during the London Jazz Festival was not his finest, although he still impressed some critics who had not seen him before. But think back to the early autumn of 2009 and the low om, that began his East Coasting band’s show at Ronnie Scott’s. This band still has not recorded, possibly to do with some of the rights of the material, possibly other reasons, but in any case this is the band that plays ‘Equinox’ and other material from Coltrane’s Sound. It was clear at Ronnie Scott’s that James and his band were on a quest that night and his quest continues given snippets of recent activity releaed online and via social media. Since his devastatingly promising album The Dreamer and rumours of his version of Coltrane material and a fine Easter show earlier that year at the Jazz Café, the clock has been ticking in the countdown to James’ next album. Not surprisingly the search is a spiritual one with Coltrane that ultimate enigma and totemic timeless figure. It is also, for the New York-based singer, partly a statement of where the jazz singer finds himself today, because he has clearly worked it out and come up with something fresh. Early on a reworked ‘Welcome’ from Kulu Sé Mama with its echo of probably the most famous piece of music known to man in the modern age (‘Happy Birthday’) the long involved specially conceived set featuring James with the highly rated Belgian pianist Jef Neve, UK bassist Neville Malcolm and newcomer US tenorist Michael Campagna adding soprano saxophone and flute. The gig that night caught fire on ‘My Favorite Things’ and the roaring opening to ‘Equinox’ and when James later worked at the high end of his range harmonising with Campagna’s soprano saxophone on ‘Naima’ while the momentum only dipped slightly when ‘Central Park West’ needed a quick restart. Neve, James and Campagna worked superbly together while Richard Spaven’s displaced beats modernised at times without distracting. Neve manages the feat of not sounding like McCoy Tyner who James has got to perform often with while keeping to the spirit of his musical approach with the extra element of Debussian light and shade added at times informing his more delicate touches. Surely James’ next move will be agenda setting just as this band that night was live in a jazz club, the biggest test of them all. 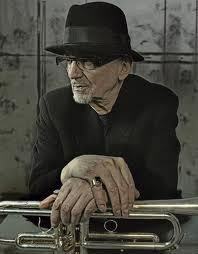 Tomasz Stańko who turns 70 on 11 July is the most remarkable jazz musician to have come out of Poland. His career once stuck in an avant garde cul-de-sac and he himself almost completely forgotten about and unheard was reborn in the 1990s. As the decades since have passed he has ascended effortlessly ever upwards to the top of the international touring circuit with his artistry undiminished. This process of “progress", a concept Stańko would probably laugh about or certainly scorn, is inimical to an avant gardist of his stature. In the 1960s he was a rebel and his first band the Jazz Darings was a statement of intent. Somehow he had heard the music of Ornette Coleman early on and was an early interpreter of the saxophonist, as was Joe Harriott in England. Stańko’s career would in more recent years be thought about within the prism of the ever growing cult of film composer and pianist Krzysztof Komeda because in 1997 after much persuading Stańko released Litania which changed everything. There have been Komeda tributes since (this wasn’t, it was a concept album) but only Stańko’s has done justice to the mysterious composer who died young and is associated with the films of Roman Polanski. The notes for Litania featured some words from Polanski and Stańko in interviews before and since has spoken of above all the poetry of Komeda, his sense of space and the romanticism of a pianist who to Stańko’s generation meant everything. Stanko played with the composer for about three years and appears on the classic album Astigmatic recorded in 1965. With this album alone Stańko’s place in jazz history is secure. But by no means was that it. His late-1960s quintet introduced a new strand into jazz, that of Slavic abstraction, searing, often brutal and very nihilistic, Stańko understandably attracted the notice of the avant garde both in Europe and the States. His was a painterly version of the style whose structures were established in the late-1950s by Cecil Taylor, who he would later play alongside, and then given a “blues connotation" by Ornette Coleman, the hook that Stańko initially picked up on as a young man. The change for Stańko first began in the late-1980s. The Berlin Wall was to come down at the turn of the decade, and proud Varsavian that he was and still is, his native Poland was starting to embrace all sorts of new independent activity within its music scene and Stańko himself was changing. The one time darling of the avant garde was beginning to mellow, at least by his own standards. The first time I came across him live he was in a disgruntled mood playing at a tribute to Miles concert, shortly after the death of the great trumpeter, in Warsaw’s Philharmonic Hall in 1991. He went on to play a solo set which was utterly distinctive in the sea of tributes to Miles’ modal music where ‘All Blues’ seemed to be the standard of choice. Stańko unleashed a fanfare of blues driven signature motifs, at once raw and powerful and as individual in its design as Miles’ own music. Stańko had been drifting in the years before I met him. Cut off in his own country with few fellow conspirators he was reduced to playing solo concerts or occasional duos with sympathetic keyboards players such as Janusz Skowron. A few months after witnessing Stańko’s performance at the Miles show I went to a launch of his CD at the time Tales for a Girl, 12, and a Shaky Chica, about his daughter Anna, now his personal manager. Stańko’s first effort on one of the new wave of Polish indie labels, Jam. It was typical Stańko of the 1980s and early-90s, full of swagger, an eerie rumble from Skowron on synthesiser and a mournful, sad demeanour that seemed to characterise Stańko’s music at the time. A dignified dirge. The disc got little attention and it seemed as if Stańko’s drifting career was about to continue for an indeterminate amount of time. It was a long way from his glory days when he was an early champion of free music in Europe. “I come from Krakow, I studied there," he told me some years ago, “so I know the city well. In the early- 1960s Krakow was an oasis of the arts in Poland. It was where Komeda and the Polish jazz player elite lived, where Penderecki taught at the Music Academy, where there were very strong communities of visual artists and actors. It was where a (literally) underground poetic-political cabaret, Piwnica pod Baranami (The Cellar under Rams), operated, a hotbed for innovative artists of many colours. A jazz club was opened there at that time, with a live music programme, where I also debuted. This was the most powerful jazz scene in Poland, where I set up my first combo, the Jazz Darings. We started together with Adam Makowicz, the pianist, but then together with reedsman Janusz Muniak, I started experimenting with free jazz, inspired by Ornette Coleman and George Russell and his lydian system. From this band my quintet evolved that featured the late Zbigniew Seifert." Stańko spent several years with Komeda, learning his craft, honing his ideas and developing a sound of his own. In these years he had developed from being a young musician initially influenced by Chet Baker and Miles Davis to a sophisticated explorer of modern jazz taking in new sounds from across the Atlantic, including the new saxophonist everyone was talking about, Ornette Coleman, as well as learning from Komeda. "I believe that my natural musical talent and predilection for interest in the arts," he says, “resulted in my love for music and the arts that has always been omnipresent at my home. My father was a judge, but he also played professional violin, so music has been ever present in my life. My sister studied piano, I started with piano and then violin. I took up trumpet at 16, inspired by a Dave Brubeck performance in Krakow in the winter of 1958. I started by listening to Willis Conover’s Music USA radio shows, but I had a predisposition for this music even before. I associated jazz with something beautiful but also mysterious, far remote, an idea, a music of the wronged, global and great in its power. Conover introduced me to the recordings of Chet Baker and then Miles Davis, who were my first idols. Miles, Coltrane and Monk were my first great idols." By the 1960s he had moved a long way from the chamber jazz sensibilities of Brubeck and his beginnings in jazz. With Komeda and another young rising star Zbigniew Namyslowski, Stańko would record Astigmatic in 1965, still held up as the most remarkable Polish jazz record. "The session took place one night only during the Jazz Jamboree 1964 festival, on the occasion of which more musicians were available. We were recording at the National Philharmonic’s concert hall. There were many music scene insiders and musicians in the audience cheering us on, so the atmosphere was hot, ‘semi-live’. All Komeda’s compositions are beautiful, both these elaborated ones, strictly jazz tunes, such as ‘Svantetic’, ‘Astigmatic’, or ‘Requiem’, and those short ones, written for film. They are great to play, always fresh and creative. They sound different with different bands, retaining at the same time this specific, Komeda-esque feeling. They are innovative but also well embedded in the tradition. Despite their monumental forms they are charmingly simple and easy to listen to. They are very, very jazzy indeed in their nature." The album’s long loping themes gave plenty of room for Stańko’s achingly stark lines and the success of the record and his experience with Komeda allowed the trumpeter the confidence to go on to form his own group which lasted on into the 1970s. That group included the imaginative violinist Zbigniew Seifert and toured abroad making an especially strong impact in Germany at the Berlin Jazztage. With its dissolution Stańko embarked on a difficult period collaborating with one of the most experimental improvisers in Europe at the time, Finnish drummer Edward Vesala. And from 1974-8 they worked together recording and in concert. Stańko says: “At the beginning of the 70s Jan Garbarek played in Frankfurt and I lived in Germany, so I went to listen to him and Edward invited me to sit in. So I played with them and after disbanding my quintet I invited Edward to play together with Peter Warren on bass, Tomek Szukalski on sax, and myself. This alliance produced the album TWET. Later on I recorded with Edward a few of my albums: Balladyna, Almost Green, Live in Remont." Sometimes their work together threw up exciting aurally dramatic works. At other times it was more art’s for arts sake such as the unaccompanied solo recordings the pair made at the Taj Mahal in India as the 1980s dawned. But Stańko was not completely heading towards the obscure margins of improvised music at the times despite the sometimes wayward direction he took with Vesala. One of the albums he mentions above, Balladyna, was to be his introduction to the German ECM label and at the time, 1975 was Stańko’s greatest achievement on record after his tribute to Komeda Music for K recorded five years earlier. Stańko was in good company on Balladyna. Besides Vesala he had heartfelt support from his country’s leading tenor saxophone player Tomasz Szukalski and the great bassist Dave Holland who uniquely was tuned in to the direction of the European avant garde just as much as he was to the new currents in American jazz. Balladyna was a rare treat for the trumpeter’s fans and the next 10 years saw little from Stańko on labels with international distribution. Was it a frustrating period? “I wouldn’t call it frustrating. I recorded a few very interesting records for the Finnish Leo label such as Almost Green, Music from Taj Mahal and Carla Caves, another few interesting records I released in Poland: Peyotl, Lady Go, C.O.C.X. As a matter of fact my every record makes me feel great, even now, after all these years. Later on I recorded Bluish, with Arild Andersen on bass and Jon Christensen on drums, and one of my favourites: Tales for a Girl, 12…"
Bluish, recorded in 1991, was the breakthrough Stańko needed. Again made for a new Polish indie label, Krzysztof Popek’s Power Bros, it brought Stanko in touch with the great Norwegian drummer Jon Christensen and bassist Arild Andersen, an inspired group that distilled Stańko’s essential sound into a more simplified framework which emphasised the core sounds and rhythmic urgency of Stańko’s sound. This was a record that could connect with a new generation of Polish musicians as well as Stańko’s old fans. And most importantly it was the record that brought Stańko back to the ECM fold after a long break. The Bluish group was a one off but he formed an equally strong quartet with pianist Bobo Stenson, bassist Anders Jormin and expat English drummer Tony Oxley and it was this group which proved to be the backbone of Stańko’s approach for the next few years. Before recording again for ECM with Matka Joanna in 1994 the four made Bossanossa and Other Ballads for Gowi and later for ECM there was Leosia released in 1997, one of Stańko’s most majestic achievements on record. Stanko’s renewed relationship with Manfred Eicher at ECM was also fortuitous in that the ECM producer had over the years been developing a great fascination with film music and had a great love for Komeda’s music. He persuaded Stańko to perform the music of his former colleague and friend and the result Litania was Stańko’s biggest success. The band was an international affair that brought in the Komeda saxophonist Bernt Rosengren to join Stańko’s regular colleagues Stenson and Jon Christensen as well as Terje Rypdal, Joakim Milder and Palle Danielsson. The material encompassed Komeda’ ‘Svantetic’, ‘Sleep Safe and Warm’ (from Rosemary’s Baby) and of course ‘Ballad for Bernt’ from Komeda’s music for Polanski’s early classic Knife in the Water. Komeda, Polanski wrote “contributed magnificent scores for several of my films, notably Rosemary’s Baby, whose success owed much to his empathy and creative imagination." Stańko says: “I was introduced to Komeda by Michal Urbaniak, with whom I then played. It was the autumn of 1963. Komeda offered me to sit in his quintet at the Jazz Jamboree festival. That’s how my five year long stint with Komeda started that eventually lasted until Komeda’s departure for Hollywood and California in 1968. He was a strong personality and has made a strong impression on me." In the notes to the album he writes: “The jazz scene was very active in Poland at the time and there was a lot of communication going on with film directors, writers, actors. In the middle of this was Komeda - a very quiet man. At rehearsals he told us nothing. He would give us the score and we could play and the silence was very strong and intense. He wouldn’t say if we were right or wrong in our approach. He’d just smile." And Stańko too would have plenty to smile about as the industry buzz had it that he was back with a record to be proud of. The touring version of the album would travel widely and he would return to the studio for another outing for ECM soon after, albeit with a different group. artist whose life and art are one. I’ve learned from him how important transitory-ness is." Stańko took part in Taylor’s great splurge of recordings for the German FMP label in the late 80s and he has also over his career performed with a wide range of avant garde figures He could have lived abroad or emigrated to America like his colleague Michal Urbaniak. But despite the often lack of warmth the Polish scene showed towards him he stayed put. “In the early 1970s, following a spectacular success at the Berliner Jazztage," he says, “I settled down for a while in Darmstadt, Germany, but since I never had any problem with travelling out of Poland, I came back there for practical reasons." Despite social upheavals in his native land he did not feel as shackled as some artists. “The communist regime was in the 1960s much more liberal in Poland than elsewhere. We had an agency, Pagart, that arranged our tours efficiently. I can’t recall any problem with getting out of the country." The Solidarity revolution did not come into his reckoning much. “Jazz always was and still is a niche music, so these changes are not that significant as those with respect to other art genres. I always had to play not only in Poland, and it was never a problem to me. Still the market condition that now has taken over seems to be much more favourable to me than ever before." There is a dream-like quality to Stacey Kent, a voice you don’t hear every day, one that conjures up songs of love and romance, and recalls an era in popular song that remains somehow vital. It’s a sound that retains a certain innocence, cloaked in the sophistication of the Great American Songbook, the bossa nova and samba sounds of Brazil, and the heady preoccupations of French chanson. It’s a voice, too, that through extensive touring and the release of a string of best selling records, the world has got to know well. Since her debut album Close Your Eyes in 1997, Stacey Kent made her mark early on with a voice that reminded some listeners a little of Blossom Dearie. The late Humphrey Lyttelton played her records on the radio and Kent soon staked out a place of her own, sounding unlike anyone around. She quickly began to tour widely and released more records. With the album Dreamsville Kent reached a turning point. Listen to ‘Violets for your furs’ for instance and you’ll hear a new seriousness, a less girlish confidence in the slow tempo, and an enunciation that is still quite remarkable, although from her first records Kent’s diction was often remarked on as was her interpretation of complex lyrics. Kent soon reached another staging post in her career with a rich run of form in 2002 and 2003 and on The Boy Next Door showed new aspects of her artistry by delivering a poignant interpretation of Paul Simon’s pretty melody ‘Bookends’ that hinted at new directions, along with her take on Carole King’s ‘You’ve Got A Friend’ and possibly a future as a jazz singer who spreads her wings. 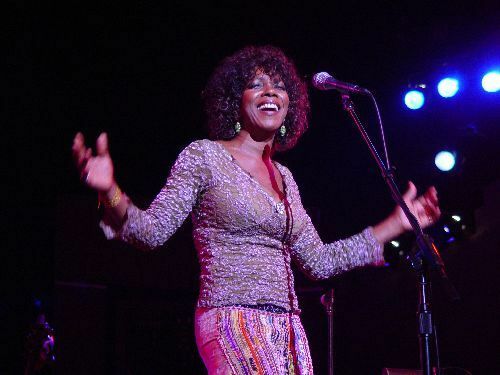 Since her initial album for Blue Note Kent has turned her attention increasingly towards chanson and Brazilian music and on Raconte-Moi sang in French partly a reflection of, like her grandfather, the affection she holds for the language and culture of France, and partly as she has become one of the biggest jazz vocal stars there touring relentlessly and to enthusiastic response. She also became a ‘chevalier’ in the order of arts and letters, an award presented to her by the French minister of culture. Fittingly Kent decided to record her first live album in Paris at La Cigale, an album that ranks with her very best, and judging by the audience overtures faithfully captured by the Blue Note engineers went down a treat in the theatre. British audiences see her less often these days as she is so much in demand beyond these shores, but last autumn the singer returned to her old stomping ground of Ronnie Scott’s straight from an appearance in Oslo. The first set of the performance that night was dominated by the wonderful linking of two Jobim songs ‘Dreamer’ and then ‘Quiet Nights’ (‘Corcovado’) both reflecting her affection for the English lyrics of the late Gene Lees. With Stacey’s band that night of Graham Harvey on piano comping admirably while Jeremy Brown on stand up acoustic bass and attentive drummer Matt Skelton were as slick as they needed to be, Tomlinson’s tenor playing moved beyond his preferred Getzian hinterland and Stacey surprised everyone by playing guitar on the Brazilian songs.